Yellow, reddish orange and brown colour zoning highlight this citrine. This attractive reddish orange colour is popular with consumers. Citrine is rare in nature. In the days before modern gemology, its tawny colour caused it to be confused with topaz. 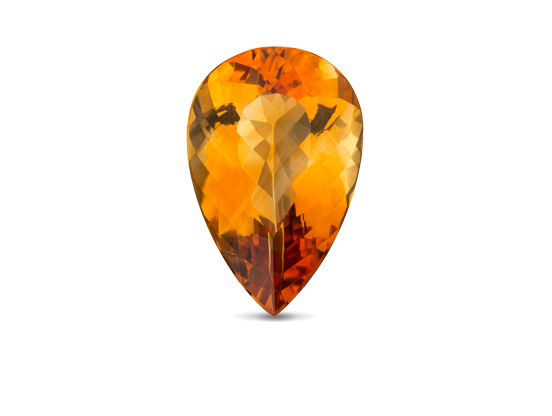 Today, its attractive colour, plus the durability and affordability it shares with most other quartzes, makes it the top-selling yellow-to-orange gem. 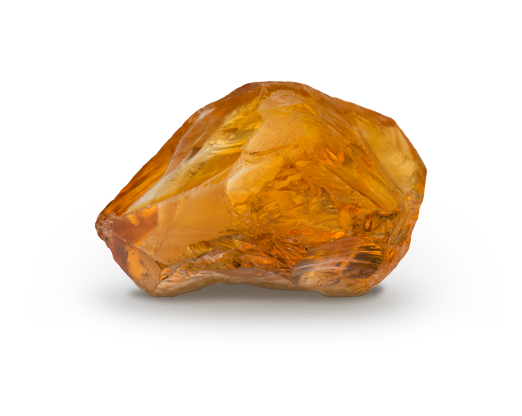 In the contemporary market, citrine’s most popular shade is an earthy, deep, brownish or reddish orange. Along with topaz, citrine is a birthstone for November. It’s also recognised as the gem that commemorates the thirteenth anniversary. A trace of iron in citrine’s structure is responsible for its yellow-to-orange colour. Citrine is recognised as one of the most popular and frequently purchased yellow gemstones. In Bolivia, amethyst and citrine colours can occur together in the same crystal. These unique gems are called ametrine. Vivid yellows, reddish oranges and earth tones are popular with consumers. 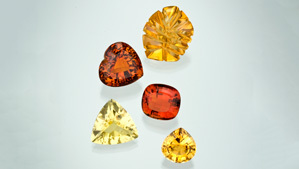 Citrine might be carved, custom-cut or calibrated for jewellery use. Citrine is available in a wide range of sizes for setting into a variety of jewellery styles.